❧ I'm deaf from all the silence. I had the chance to stream Simple Plan's new album today and it's been on repeat all day. If you weren't aware, SP has been my favourite band since I was 12. We all go through tough times in our lives and we find things that somehow make whatever we're going through less difficult. 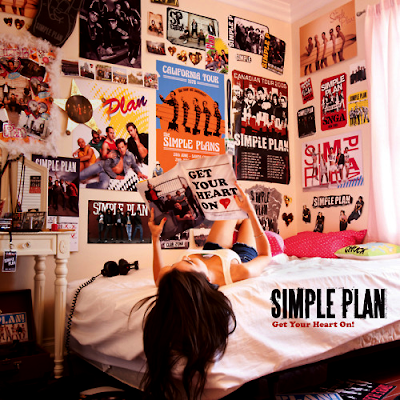 Simple Plan was what got me through a lot of my teen years. Their music always made me feel better if I was having a bad day and they've had such a positive influence on me because I know that I'm not the only one going through something. I've been thinking a lot lately about getting a tattoo with either their logo or maybe some lyrics from one of their songs. All of their songs mean a lot to me so it wouldn't be just some random tattoo that I'd get just for the sake of having one. One of their new songs is called 'Gone Too Soon' which reminds me so much of my grandfather that passed away, so maybe some words from that would be fitting.